Teams of innovators from throughout Europe will be invited to explore opportunities related to responsible urban tourism, with the chance to win grants of up to €25,000 from Booking.com and a pilot project with the city of Amsterdam. We happily announce the first Booking Cares Lab in Amsterdam in partnership with the city of Amsterdam. Designed to explore some of the unique opportunities associated with responsible urban tourism, the Booking Cares Lab is an extension of the company’s Booking Booster accelerator program for social enterprise scale-ups and its larger efforts to work with non-profit organizations and changemakers in destinations all over the world as part of the Booking Cares volunteer program. Running from October 9-11, over the course of the 3-day program, eight to 10 teams of innovators will be paired with a Booking.com mentor and have the opportunity to learn from and collaborate with other experts from Booking.com and the city of Amsterdam, as well as Amsterdam Marketing. The program will culminate with the teams of innovators pitching their plans to an expert jury in order to win grants between €10,000 and €25,000. Based on the strength of the plans that are developed, the city of Amsterdam is also offering up the chance for one of the strongest teams of innovators to partner on a pilot project directly with the city. ● Behavioural Awareness: educating travelers about how to act more like a local, including tackling topics related to littering and street pollution, noise control, and waste management, i.e. recycling and sorting, etc. The city is not only going to provide expert mentors, speakers and additional context from their perspective, but will also be actively involved in the selection process and final funding decisions, with Ger Baron, CTO for the city of Amsterdam taking a place as one of the members of the jury. 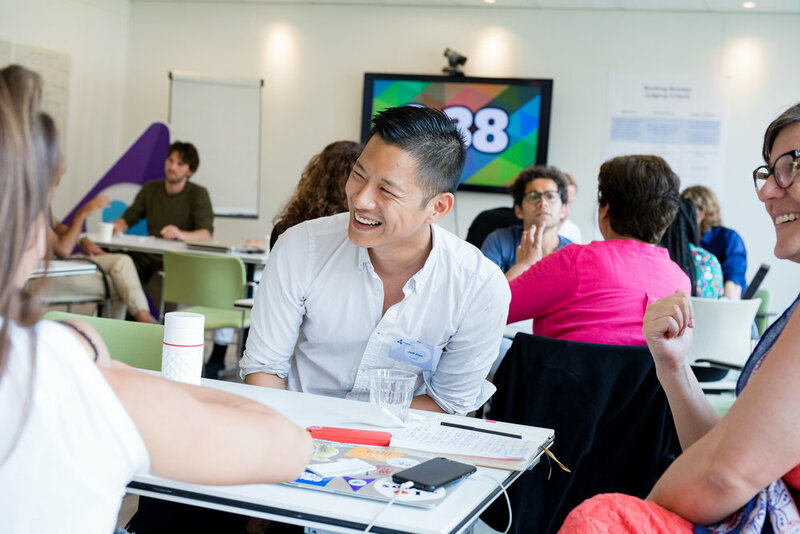 Amsterdam Marketing has been instrumental in helping establish the key themes for the Amsterdam Cares Lab, and will also play an active role in the innovator selection process and final funding decisions. In helping travellers to explore and experience more than 138,000 unique destinations all over the world, Booking.com also seeks to contribute to the ongoing health of these same destinations so that future generations can continue to enjoy them for years to come. To support that vision, the aim of the Booking Cares Labs is to tackle tourism-related topics in destinations around the globe by joining forces with local organizations in order to inspire innovative solutions generated by ambitious sustainable tourism changemakers from both the for-profit and non-profit sectors. For more information and to apply to the first Booking.com Cares Lab in Amsterdam, interested teams of innovators, including startups, non-profit organizations, researchers and other changemakers from throughout Europe should visit: https://www.bookingcares.com/cares-labs. Applications open tomorrow on August 1 and close on August 26, with successful participants being informed in mid-September.